How to export crystal report as PDF through C# code? In this article I am explain in detail about Export crystal report as PDF using C# code. This code is usually needed for all developers to export crystal report data as pdf without showing crystal report in web page. This one is simple code to implement in your project easily. We can export data from grid view to PDF using some third party dll. 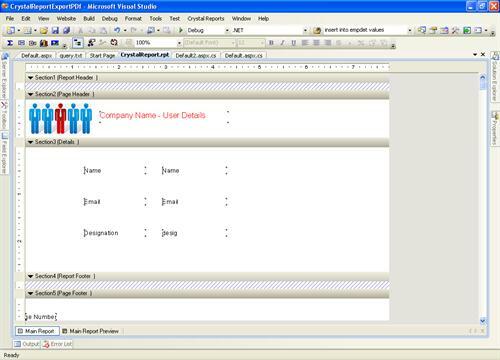 But In this resource I have explained how to export crystal report data as pdf. For example we are designed crystal report with company logo and some picture etc. 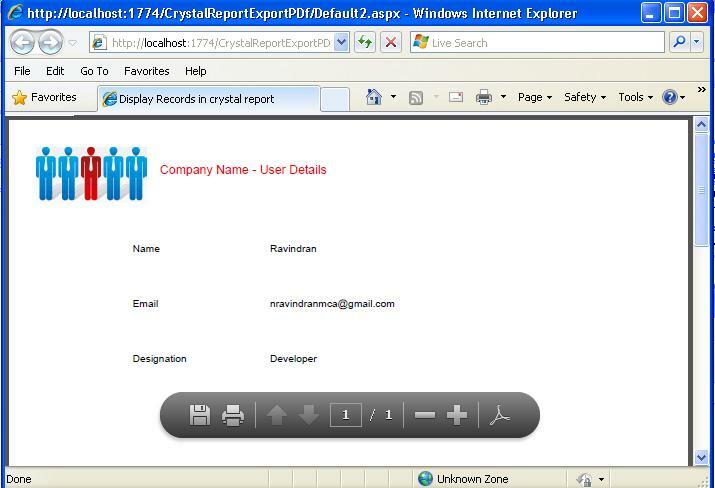 we like to export that crystal report all data as PDF in single button click without seeing crystal report. For this requirement I write code here in simple method. In this page I have placed one textbox, button control and crystal report viewer. &LT;asp:Button ID="btnSubmit" runat="server" Text="Export PDF"
If user enter name in that textbox then click export to pdf button directly create pdf file In the web page. After user click export to PDF button the PDF created based on the Crystal report content like below. I hope this article help to Crystal report export from code behind C# code.